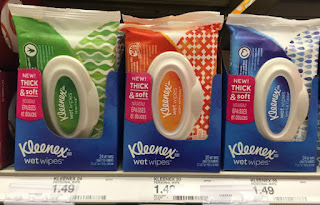 Right now there is a new $2.00/2 SavingStar rebate offer valid on Kleenex Wipes. There is no size restriction listed for the wipes. Prices for this product start at $0.99. After your transaction, submit your receipt to SavingStar for the $2.00 rebate offer. Remember you must activate this offer before you shop; otherwise, SavingStar will not let you redeem it.